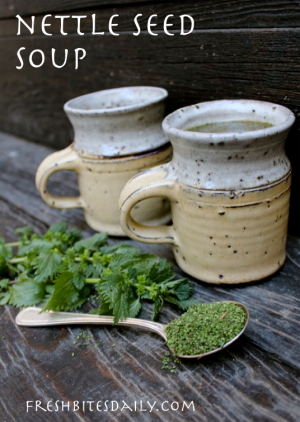 This soup recipe may be a great little nugget for you nettle foragers out there. We make use of the immature seed that fell off our nettle harvest in late spring as we processed nettle. The nettle had put on seed heads but the seeds were not so mature that you would plant with them. They were still a bit tender. As the seeds piled up from our giant harvest, we dried them and stored them for possible future projects and one of those projects ended up being this soup. The inspiration for this recipe came from the fact that I was completely worn out and recovering from a very bad dermatological procedure. 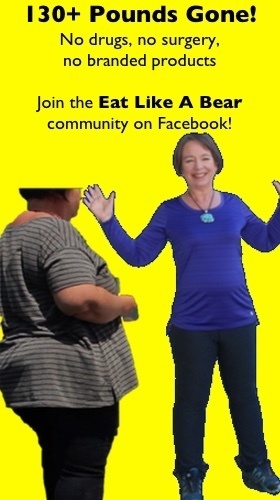 The surgery was not the optional sorts you might find at a dermatologists office and it tells a real story about wearing a hat every day. In any case, I ended up with a graft of my cheek on my nose and it is just very bad business. (Wear a hat.) As I recovered from the trauma of 25 shots in my face over an 8-day period and from a 7-day period of walking around with cheek skin attached to both my cheek and nose at the same time, I knew that I needed some serious power food but I did not have a lot of time or energy to cook it. Nettle leaf soup would be my normal go-to in such a situation (see our basic greens soup recipe), but you do have to blend up the leaves making the soup not as instant as I needed at the time. I spied a jar of nettle seeds. I already had hot bone broth on and so with about ten minutes of preparation, I was eating an extremely healthy soup. The seeds have a slight bitterness to them as you first dive into the soup. 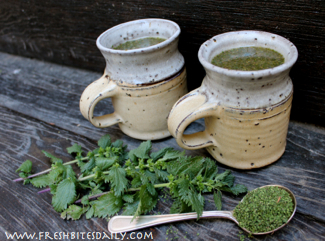 I wouldn’t go crazy overloading a soup with seeds and herbalist Henriette Kress only recommends up to 2 tablespoons of nettle seed a day anyway (here). My proportions below probably pushed the bitterness edge, of course I needed as much nutrition as possible and so pushed where I could. The soup didn’t finish bitter. It was actually pleasant for what was basically a health tonic. When warm, add seeds, garlic, soy sauce, and sesame oil. What a story for saving some nettle seeds.